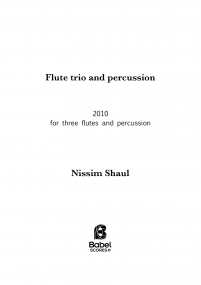 Nissim Schaul is a composer of music for classical instruments, and the occasional radio or film project. Currently living in Paris, Nissim grew up in Raleigh, NC, and has spent much of his adult life in New York City. His work has been performed throughout the New York area, and has reached a wide swath of North American and Europe. 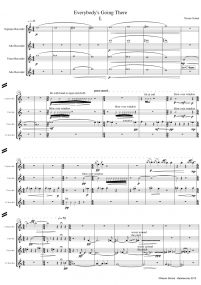 He has worked with ensembles such as QNG-Quartet New Generation, New Music Raleigh, Flying Forms, and Ensemble Interface. His music has been heard on the radio on France Musique, Minnesota Public Radio, and Studio 360. The New York Times has described Nissim's music as "spare and whispered, with a dissonant but compelling edge that keeps you fascinated." Nissim's vocal trio, Rising, was chosen for the inaugural New Voices Festival at Catholic University of America in Washington, CD. 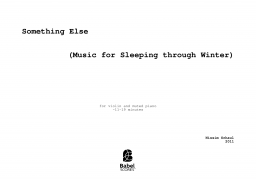 His work has been supported by two grants from the American Music Center's Composer Assistance Program (2010 for Something Else (Music for Sleeping through Winter) and 2008 for Nuevos Misterios), SUNY-Stony Brook, and a City of Urbana Arts Grant. His next major project is a commission from Tami Morse for solo harpsichord and electronics, funded by the Minnesota State Arts Board. Nissim has a BA from Columbia University (with honors in music) and a Masters in Composition from SUNY-Stony Brook. 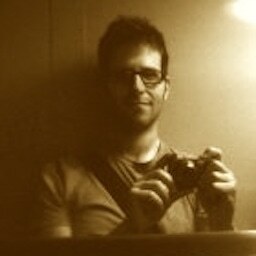 His main teachers have included Martin Matalon (current), Allain Gaussin, Sheila Silver, and Jonathan Kramer. Summer workshops Nissim has attended include the American Conservatory at Fontainbleau (2003), the Academie Musicale de Villecroze (2009), MusicX in Blonay, Switzerland (2010), Acanthes (2010), and June in Buffalo (2012), where he has attended masterclasses with Marco Stroppa, Bernard Cavanna, Martin Bresnick, Stephen Hartke, Beat F¸rrer, Hanspeter Kyburz, and Fred Lerdahl. 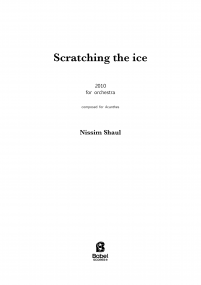 In addition, Nissim is presently researching the mixing of electronics and period instruments (like harpsichord or viol) at the University of Paris. He is also picking up the vielle ‡ roue (French hurdy-gurdy), just for fun.